The total surface area of completed design projects during 30 years of operation is close to 2 million square meters and today these spaces have been occupied by 100 000 professionals of different industry branches. Nearly 90 % of these spaces are still in use today. Workroom Gullstén & Inkinen was founded in 1988 by Hanna Gullstén and Jari Inkinen. In the early days, Hanna and Jari would spend long evenings working on private homes, exhibition booths and other small design projects. The first project “jackpot” was in 1991 when SOL Cleaning Services commissioned us to design their new offices. The new offices represented then rare and revolutionary principles of activity-based working. The new decade brought in a severe recession and all work for designers came to a halt. Frustrated by this, Jari decided to pursue a second degree in architecture. In 1995, we found a new home in an old dairy shop in Siltasaari, Helsinki. 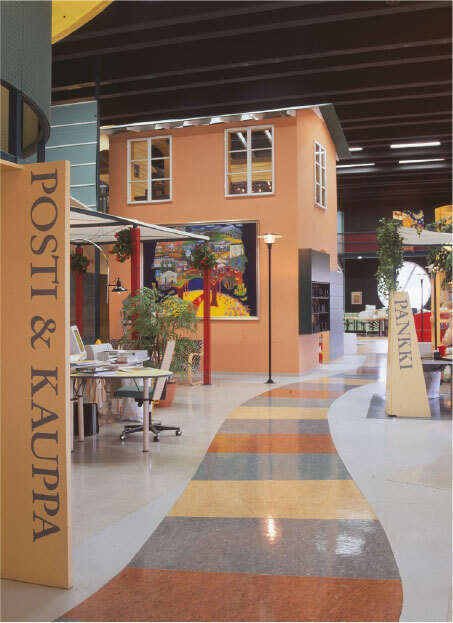 In 1998, Workspace Gullstén & Inkinen officially became Gullstén-Inkinen Design & Architecture after hiring its first employees. We also received our biggest commission so far, the interior design of Sanoma House. As the business continued to expand over the following years, we started to look for new premises. An old derelict bus factory was to be our new office. Joyfully, we renovated it and moved with 12 designers and architects. The creative synergy of the new design and art hub inspired us to strive for new heights: the global markets. We have completed works in Sweden, Denmark, Russia, Estonia, Lithuania, Latvia and Japan. 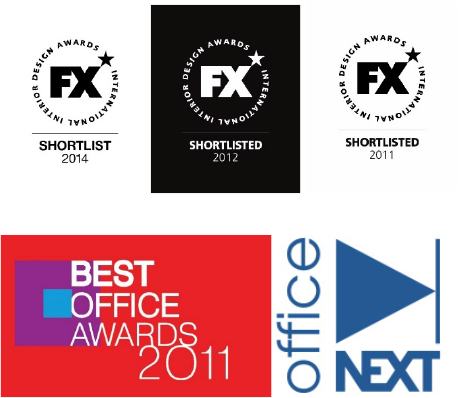 Our clients range from small enterprises and public organizations to the world’s leading corporations. Since 2012, GI has been a member of the European Architects’ Alliance (EAA), with 20+ architectural and design offices across Europe. It is founded on the principal of mutually beneficial cooperation with capacity and experience to offer a wide range of responsive services to clients on projects around the world. At Gullsten- Inkinen, sustainable development is way of thinking, a value that is embraced in the design process. In 2010, we became the first design agency in the world to be admitted in the WWF Green Office Network thanks to our long-standing commitment to sustainable practices. Our sustainable design services are about future proofing, re-innovating the use of existing resources, modular and house in house solutions, re-using products, optimizing work settings and collaboration. Sustainability, innovation and quality of work go hand in hand in delivering successful, realistic and actionable environments. Our approach to sustainability is holistic, healthy and productive in creating buildings and interiors. For instance, we innovate new functions for old buildings that might not be in use, or are in poor condition that can also affect the whole urban development renewal. Amer Sports is a prime project example of incorporating sustainable principles in design. The location and the type of use were derived from employee’s needs (e.g. transport, variety of operations, future proofing) and therefore using an existing resource worked better than anything new. Refer to adjacent column for further reading on Amer Sports. Amer Sports HQ receives BREEAM Very Good rating as the first renovated office building in Finland. 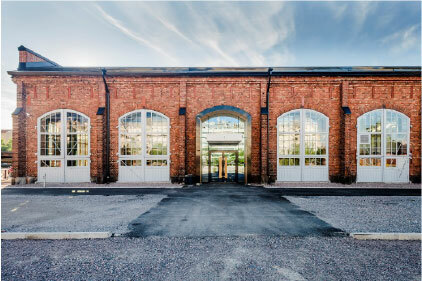 A listed red brick train depot that Finland’s National Board of Antiquities had declared ‘impossible to find a proper use for’ has been reinstated and transformed into offices and showrooms. Test fit exercises were drawn for various locations and these premises by far met all the criteria’s. To inflict minimal impact on the existing walls, an internal modular and elevated structure on composite columns was realized. Existing finishes were left exposed and untouched from old brickwork and metal framework to little dents and marks on various surfaces. Due to the careful consideration of logistics and careful planning of internal layout, it allowed for optimal and effortless operational and maintenance practices as well. The project set a change in the whole neighborhood. Now, the adjacent buildings are being reinstated making the old, forgotten and empty train yard/factory area a buzzing urban space and thus attracting many new businesses.